Wondering what are the educational requirements to become a CNA? Do I need to go college in order to earn a degree for enrolling in nurse aide training programs? If all these questions are bothering you, read the article to get answer of your questions. Is It Essential to Have a College Degree for Signing up for CNA Education Programs? CNA education programs open the doors of entry-level jobs in the healthcare sector. To get your name registered for the training classes, you need not to have any college degree. But, a diploma in high school or a GED certificate is an indispensable prerequisite. In some states, you can enrol for nursing assistant classes, even if you don’t pass the high school. Your age should be of eighteen years. (In some states, students having age of 16 years are also considered eligible). Applicants must not have any involvement in the criminal activities in past. Aspirants should not be suffering from any infectious ailment and must have an excellent physical endurance. She should not be pregnant. Proficiency in English is also compulsory. You ought to have certain traits, like caring attitude, compassion, empathy and emotional stability. Where to Get CNA Education From? Recording vital signs, like pulse rate, blood pressure, temperature, etc. Several accredited institutes offer online CNA education programs for those students, who are busy and can’t take out time to attend on-campus classes. These programs comprises of lecture or the theory section. In order to teach the patient care basics to the students, the online courses use interactive technologies, like advanced computer software, video lectures, chat rooms and discussion boards. Such programs allow students to take on their own time and submit assignments and tests through the Web. However, the online courses are not completely free. Students need to take the clinical part of the program, at nearby healthcare center or hospital. You can appear for certification exam, after completion of the coursework. 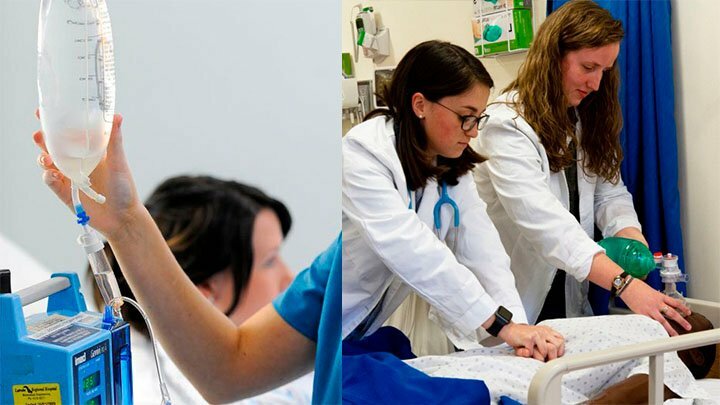 On completion of nursing education, you may find jobs in hospitals, day care centers, assisted living facilities, residential care centers, nursing homes, clinics, etc. You can also work as CNA instructors, LPN or RN, after earning a degree.